As part of our continuing series of 2012 Writing and Illustrating for Young Readers Conference faculty interviews with interviewer Carol Lynch Williams. 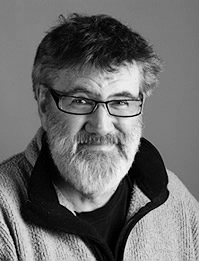 Here is a sneak peek at the instructor for the Middle Grade Novel class, author Tim Wynne-Jones. Carol Lynch Williams: What is your usual writing process? Tim Wynne-Jones: The trick is in that word “usual.” Every book seems to require a slightly different way of handling it. Sort of like your kids. They’ve all got the same genetic make-up but boy can they be different! Ideally, I launch into a novel when I have a really strong opening scene I can’t wait to write. Whether it actually ends up being the opening scene isn’t important but it’s my way of getting started. And if the idea is involving enough it will lead me on to the next scene. I never start with an outline. It just seems boring to follow a predetermined course, although I know all sorts of great authors who do use outlines. Sometimes in the middle of a book, especially if there are several voices telling the story, I will need to write out a careful outline of the next few chapters, let’s say, so that I get the sequence of events just so. But generally I want to write to surprise myself! Ideally, I write a first draft as quickly as possible — get the whole thing out there on the table so I can sort through it and find the good bits. That’s the second draft and that’s when it’s really fun to be a writer. CLW: What genre of books do you most enjoy reading? CLW: Do the plots from your stories come from things you have see in your life? TW-J: Inevitably, at least to some degree. Plots come from asking yourself what if… You see something only slightly odd and make it odder. You see something broken and wonder how it got to be that way. You see, for instance, a street kid staring at a fancy hotel and wonder if he knows that there is food in there on trays outside people’s rooms and how would he go about getting it? That’s what happened with Blink & Caution. Or you see some weird little article on page three of the newspaper and rather than following up on it to get more facts you let your imagination have a go at it. You introduce some random event to an otherwise ordinary moment and imagine the event that ensues. As a writer you’re like a detective always looking for clues to something that never happened! CLW: What do you consider your greatest accomplishment? TW-J: Raising three pretty fabulous kids. Being published in fifteen countries and in a dozen languages. Being made an officer to the Order of Canada. Being nominated for the Hans Christian Andersen Award. And somehow managing to make a life as a writer for the last thirty years or so. Tim Wynne-Jones has written thirty-two books including novels, picture books and three collections of short stories. He has been short-listed five times for the Canadian Governor General’s Award for children’s literature and has won it twice. He has won the Canadian Library Association Book of the Year Award, three times, the Boston Globe-Horn Book Award, twice and a BGHB honor, once. He has also won the Edgar Award of the Mystery Writers of America, and the Arthur Ellis Award from the Crime Writers of Canada. He teaches in the MFA program at Vermont College and lives on 76 acres of land near Perth, Ontario. He has three children, all grown up now and living hither and yon. Carol Lynch Williams: What book most influenced you to write? 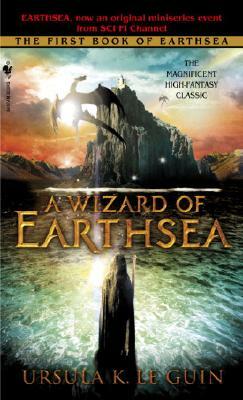 Matthew Kirby: The book that most influenced me to write was A Wizard of Earthsea by Ursula K. Le Guin. CLW: If you had any advice for future-author hopefuls, what would it be? MK: The best advice I can think of is to read and write as much as you possibly can, and after that, give yourself permission to treat writing like any other career, rather than a hobby. CLW: If you could work with any other author, who would it be? MK: If I could work with any other author it would be M. T. Anderson. I would say Ursula K. Le Guin, but I don’t think I could be in her presence without being rendered incoherent. CLW: What is your usual writing process? MK: I usually sit down in the evenings after I get home from work and I’ve had dinner. I start by revising and fiddling with previous pages for a bit, and then dive into writing new material. I write for a couple of hours each night during the week, more on weekends, and full-days during the summer months. Matt Kirby will be teaching the Fantasy Class at WIFYR this year. Register online today! Matthew J. Kirby was been making up stories since he was quite small. He was less small when he decided he wanted to be a writer, and quite a bit larger when he finally became one. With a father in the military, Matthew has lived in many places, including Utah, Rhode Island, Maryland, California, and Hawaii. He received M.S. and Ed.S degrees in School Psychology from Utah State University, and he is the author of the middle grade novels The Clockwork Three (a Publishers Weekly Flying Start) and Icefall (winner of the 2011 Parents’ Choice Gold Medal). Welcome to The King's English Bookshop blog for the store of the same name in Salt Lake City. To find out more about us, visit our website: The King's English Bookshop.